Set up in 1991 as a pilot programme in the run-up to the Earth Summit the following year, the GEF has developed from being the financial mechanism for implementing international conventions agreed in Rio to the foremost champion of the global commons on which civilization depends. Big birthdays are occasions for celebration, and reflection – and reaching 25 years is a particularly important milestone. For a person, it marks the onset of full maturity, a moment at which soberly to confirm the course to an effective and satisfying adult life, while still retaining much of youth's enthusiasm and willingness to innovate. And it can be much the same for organizations. Now the Global Environment Facility has reached this landmark moment. Set up in 1991 as a pilot programme in the run-up to the Earth Summit the following year, it has developed from being the financial mechanism for implementing international conventions agreed in Rio to the foremost champion of the global commons on which civilization depends. But, as with a person reaching his or her quarter century, its greatest challenges - and opportunities to make a difference - lie ahead. Over those 25 years its original $1 billion programme has led to the investment of $14.5 billion, and the leverage of $75.4 billion in additional resources, for nearly 4,000 projects in 167 countries. Its original three partners – the World Bank, the United Nations Development Programme and the United Nations Environment Programme – have grown to a network of 18 first-class implementing and executing agencies. But the task ahead is greater than ever, and requires that the GEF continues to innovate itself. For the global commons – on which the world's societies and economies depend - are threatened more than ever before. Biodiversity declined by 30% globally between 1990 and 2007; twice as much in tropical regions. Species are becoming extinct 10 to over 100 times faster than at historic rates, a great dying comparable to the mass extinctions in the geological record. Thirty per cent of global forest cover has been cleared, with another 20% degraded. One quarter of the world's land area – on which 1.5 billion people depend – is being degraded, while 85% of global fish stocks are now fully exploited or have been depleted. In just three years, between 2010 and 2012, moreover, 100,000 African elephants were killed for their ivory. Climate change is no longer a future threat, but a present reality - especially for many of the poorest and most vulnerable people on earth – the result of higher levels of greenhouse gases in the atmosphere than at any time in at least the last 800,000 years. The chemistry of the oceans is changing faster than at any time in perhaps the last 300 million years as the carbon dioxide emissions that principally drive global warming also acidify the oceans. There are now more than 500 “dead”, hypoxic, zones in the seas, threatening the health of the majority of the world's marine ecosystems. The earth's vital nitrogen cycle is suffering its greatest, fastest change in no less than 2.5 billion years, while chemical pollution of air, waste and land increasingly threatens human health. So overwhelming are these impacts of human activities that the very biophysical processes that determine the stability and resilience of Earth are being pushed to the limit. Several, planetary boundaries within which human society has become established and thrives, have already been transgressed as the global commons that we have so long taken for granted come under irresistible pressure. Indeed, scientists are concluding that the world has moved out of the almost miraculously benign conditions of the past 11,000 years – the only ones known to be able to support civilization, let alone a human population of 7 billion and rising – that we call the Holocene. The Anthropocene that is succeeding it is a new terra incognita, a 'no-analogue' state beyond all human experience. And yet the negative drivers that have brought about this momentous transition are growing in intensity. The world's population is expected to reach 9 billion by 2050, while consumption is increasing even faster: by 2030 the global middle-class is likely to have expanded to 5 billion people. And the proportion of humanity living in towns and cities, which topped 50% in 2009, is due to reach 75% by 2050. On this trajectory, the threat not just to the environment but to global aspirations for economic growth, prosperity, jobs and security – risks to escalate out of control. Business as usual will guarantee disaster. Incremental change will not suffice to avoid it: the challenge is just too great for that. The only solution is transformational, systems change. There is simply no other option. Fortunately the world last year took the first steps to begin to turn this growing tragedy of the commons into an opportunity. The 17 Sustainable Development Goals, agreed by nearly 200 countries at the UN General Assembly, clearly recognize that the health of the global commons is fundamental to development and growth, aiming to end poverty and ensure prosperity while respecting planetary boundaries. The Paris climate agreement, concluded by the same governments in December does the same, while pledging to achieve zero net emissions of greenhouses gases in the second half of the century. But, important as this is, it is only a start. Much more is needed, and it must happen fast: we are at a tipping point, for good or ill, for the world's environment and prosperity. I believe that the GEF is particularly well placed to help catalyze the required transformation. It can, and must, play an ever stronger role as a champion of the global commons, its core mission. The international conventions which it has long supported – on climate change, biodiversity, land degradation, persistent organic pollutants and mercury – cover most global environmental issues that impact the health of the Earth system. It also has a role in protecting the ozone layer, improving the management of transboundary freshwater resources and large marine ecosystems. Over its quarter of a century, the GEF has accumulated a vast body of experience and knowledge. I have been fortunate in my predecessors. Mohamed El-Ashry, the first CEO, oversaw its foundation and guided its first nine years with extraordinary wisdom and skill. Leonard Good held the organization together during a difficult time of polarized positions on the Council which led to the adoption of criteria for financial resource allocation to member countries. And Monique Barbut, during two terms of office, instituted important reforms which further improved operations and efficiency. The GEF has a strong, diverse, expanding – and unique – network of partners, including 183 governments, together with civil society organizations, academia and private companies, as well as its implementing and executing agencies. It has a pioneering, but well-established, governance structure with a Council that has an equal number of seats for developed and developing countries. It has a key role in bringing together multiple stakeholders and catalyzing the private sector to form sustainable partnerships. And it has also always been ready to innovate. It is advised by a standing Scientific and Technical Advisory Panel of world class scientists and its accountability is ensured by an Independent Evaluation Office, which monitors projects and reports directly to the Council. Above all, it has a record of achieving good results on the ground. 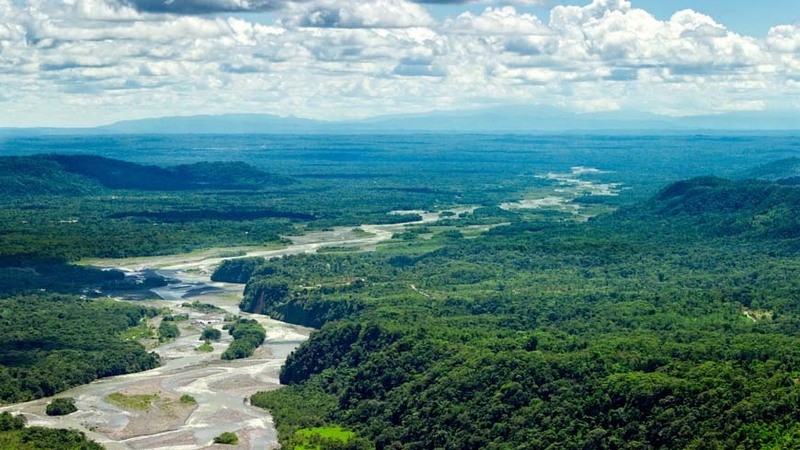 It has supported, for example: the creation of more than 3,300 protected areas, covering 860 hectares (an area larger than Brazil) and conservation-friendly management for over another 350 million hectares; 790 projects for mitigating climate change – contributing to reducing greenhouse gas emissions by 2.7 billion tonnes – together with adaption measures to reduce the vulnerability of more than 15 million people in 130 countries; sustainable management of 34 transboundary river basins in 73 countries and improved co-operation and governance for one-third of the world's large marine ecosystems; and the sound management and disposal of 200,000 tonnes of highly toxic persistent organic pollutants. More than 80% of completed projects during the GEF'S fifth (and most recent) replenishment cycle received at least a moderately satisfactory outcome rating, outstripping the 75% international benchmark. The GEF works through a range of influencing models, each chosen to match the barriers – such as weak or inadequate policy frameworks, lack of awareness, limited access to finance, technological gaps, or failures in coordination – that must be overcome if the intended benefits are to be achieved. Choosing the right models – or a combination of them – increases the catalytic effects of the interventions that the GEF makes. Transforming policy and regulatory environments, for example, helps governments to put in place the policies, regulations and institutions that enable them to redirect their own investment and spending and incentivizes people and companies to change the choices they make when producing or consuming. Such an influencing model assisted the government of South Africa in taking measures that helped make the country the fastest growing market for clean energy in the G20. Similarly the GEF has done much throughout its history to support the strengthening of institutional capacity and decision making processes; indeed, one of its earliest projects helped to establish what eventually became the Secretariat of Biodiversity and Forests within Brazil's Ministry of the Environment, which has been instrumental in developing the country's legal framework for biodiversity. Demonstrating innovative approaches can create a “beacon effect” that can spur wider adoption, as has happened with GEF support, for example, for concentrated solar power and for payment for ecosystem services, such as Costa Rica's Environmental Services Payment Programme, which pays landowners to conserve natural forests and establish new ones. Similarly deploying innovative financial instruments can help cover risk and investment gaps and leverage resources: one example is the way the China Utility Energy Efficiency project has helped replicate an effective energy-efficiency lending model across the country. And convening multistakeholder alliances helps to overcome failures in coordination and to ensure that key actors take simultaneous action. We will also continue to promote integrating the value of natural capital in decision making. But the uncomfortable truth is that we, like the rest of the international community, are failing to reverse the sharp downward trend in the global environment. We have won battles, but the war is still being lost. There have been many good initiatives but only about 20% of the projects in the last replenishment cycle showed evidence of achieving benefits on the system-wide scale that is needed. Often fragmented and isolated, they have failed to shift the needle in the right direction, let alone bring transformational change. So the GEF, too, needs to change and – with the full support of its Council – it is doing so. Two years ago we published GEF 2020, the organization’s first-ever long term strategy, which we are now implementing. We are switching the focus of our operations to address the underlying negative drivers of environmental degradation – rather than merely its effects – and to supporting innovative and scalable activities that cost-effectively deliver the highest impacts. These drivers of global environmental degradation primarily rise from three global megatrends: a growing population, which will exceed 9 billion by 2050; a rapidly rising global middle class resulting in tectonic shift in consumption and diet patterns; and rapid urbanization which is expected to add 1 billion new residents to the world’s cities. To “de-couple” the impact of these megatrends on the global environment we must fundamentally transform our key economic systems – our energy system, food production system, our cities, and our goods manufacturing system. Many negative drivers cause many diverse problems simultaneously. Unsustainable agriculture, for example, degrades the land, fells forests, reduces biodiversity, pollutes rivers and the oceans, causes chemical contamination from pesticides, and is responsible for about a quarter of the world's emissions of greenhouse gases. Everything is connected; if one facet of the global environment is in crisis, it will affect others and ultimately lead to disruption of the whole planetary system. So it is simply not possible to address a particular environmental issue in isolation, as if it inhabited its own silo. Instead we need to address many challenges at once. We must focus on systemic approaches rather than ones that are restricted to single sectors or technologies, as we scale up the good results achieved in national and regional projects to deliver sustainable effects that are big and widespread enough to meet the challenges we face. The GEF has long been, and will continue to be, an innovator. Its very system of governance was innovatory – as was the increasing access it provided NGOs to its council from the 1990s onwards. It must continue to promote innovation – not least in deploying financial instruments – while consistently operating from a position of technical excellence and world-class experience. We need innovative mechanisms that are financially sustainable if we are to deliver impacts at scale. The GEF will continue to be a catalyst both in enabling action and in mobilizing resources. It has the capacity to catalyze and combine efforts that would otherwise be scattered and unrelated in such areas as land restoration, fisheries management, and marine protected areas – and the new ideas so often incubated by NGOs can be implemented and expanded through tis catalytic support. It has already been able to catalyze significant funding for addressing climate change from the private sector, national governments, and partner agencies that might otherwise not have materialized. New ways must be found for leveraging resources. The GEF's catalytic role in the evolving architecture of environmental finance is even more vital at a time of fiscal austerity. All this is particularly important in increasing engagement with the private sector, which must be a crucial partner if transformational change is to be achieved. The GEF can, for example, establish risk-sharing facilities to unlock “green” investments by companies: it can, indeed, buy out the risk that enterprises face when operating in new and innovative markets like the carbon one. And it can help companies to start to source increasing shares of their raw materials from producers certified for sustainability: one such initiative doubled supplies to industry of certified cocoa to the benefit of the local communities that produced it. The GEF must also remain the partner of choice for environmental benefits. It was established to work in partnership: its role is to provide financial support – and to help develop and design projects – while its partners implement and execute them on the ground. So productive and trusting partnerships are vital. This means that its transaction costs must be kept down, that the Secretariat must remain exceptionally lean and efficient for an organization disbursing such significant sums, and that projects are prepared and implemented as fast an efficiently as possible, while maintaining quality control. It also means, of course, that the GEF must continue to be known for its deeply entrenched culture of getting results. Much of that action must now focus on increasing resilience to the harm done by climate change and other environmental insults and on helping those affected to adapt to them. Poor and vulnerable people particularly depend, for example, on nature and the services that ecosystems provide for food, freshwater, fiber, fuel and other necessities. Ecosystem-based adaptation can do much through such measures as maintaining and restoring wetlands and forests, thus helping to improve food and water security, protect coasts, and preserve biodiversity. The GEF will help countries incorporate adaptation measures into their development programs. And it is already beginning to make direct links to helping countries to meet their Intended Nationally Determined Contributions as part of the Paris climate agreement. Though concerned with global issues, we know that country ownership is the key to success: after all, action takes place at national and local levels. The aim must be to make the global environment everybody's business. For this is not a matter of safeguarding natural systems alone, important as that may be. It is the best – indeed the only –path to prosperity. It is not just about avoiding disaster, but providing much greater and better-shared growth. As the only mechanism that insists that projects generate global – and not just local and national – benefits, the GEF is, and will remain, a champion of the global commons. It will continue to insist that there can be no separation between development and environment, that safeguarding these commons is, quite simply, the wisest investment we can make. Anniversaries should be more about looking forward than back. And, grave though the threats may be, a poverty-free future in harmony with the planet is within our grasp. We need to act swiftly, and at scale, to realize it – and that is just what the GEF intends to do.